In an attempt to kind of make my videos a bit more dynamic, I’m trying out a couple different styles of videos and episodes. All of them are still going to be “vlog-style”, but some less than others. My general goal is to make this YouTube channel feel less like 1 show with 7 episodes a week, but rather 6 or 7 different shows that each play on a weekly basis. I think this will keep more people happy, allow for more variety to the content, and most importantly give me a couple days where the filming process is different and less mundane. One of the episode styles that I’m starting is called “4k Friday”. And, that is exactly what it sounds like. Each Friday (although the episodes and blogs will likely finally go live Sunday night, which is confusing, I know), the videos will be entirely shot in 4k. Right now, that means that I’m doing the shooting entirely on my Sony A6300. But, eventually I think more of my gear (like my drone, for example) will also shoot 4k. Not only will these episodes be shot in 4k, but they’ll also just simply be more shots, and less of me. These episodes will be more about the destination I’m in and showcasing it’s beauty as high-def as possible. Yesterday I started a project that will take me around bits of Spain and Italy. 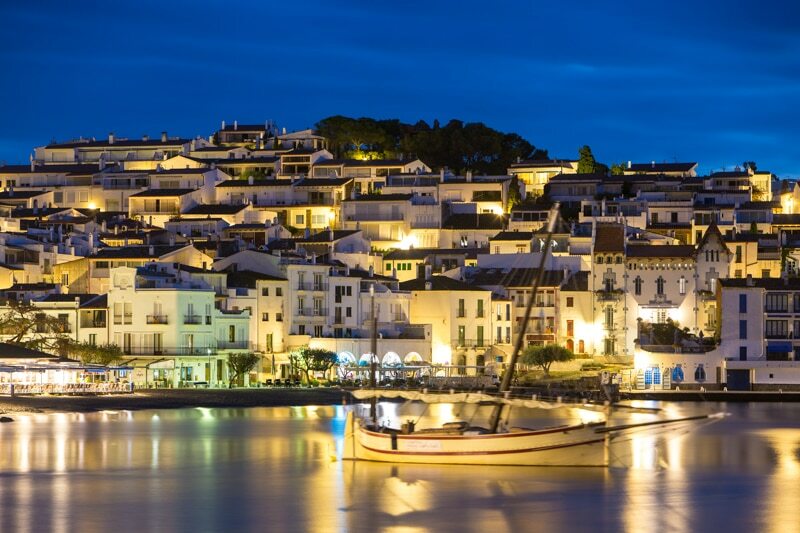 I landed yesterday in Barcelona, and was whisked away to Costa Brava and the town of Cadaques. I’m on a project here which you can follow on social media with the hashtag #EuroFoodTrip. 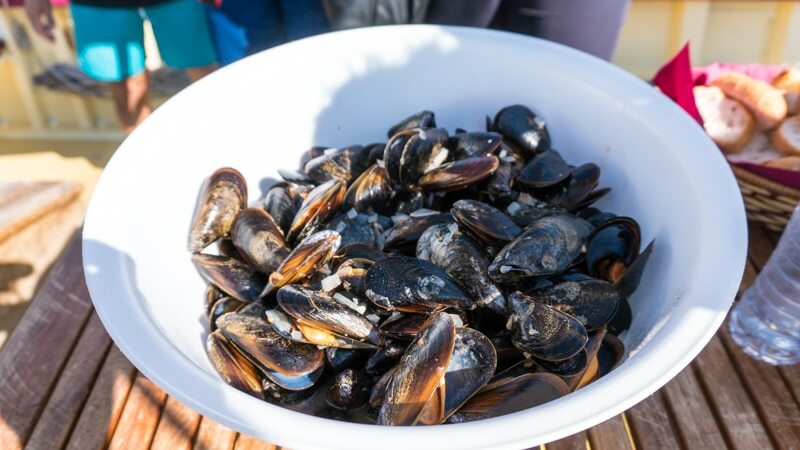 As you probably guessed, this is a foodie tour in Europe. The trip will take us around Costa Brava, and then later into Emilia Romagna, Italy. 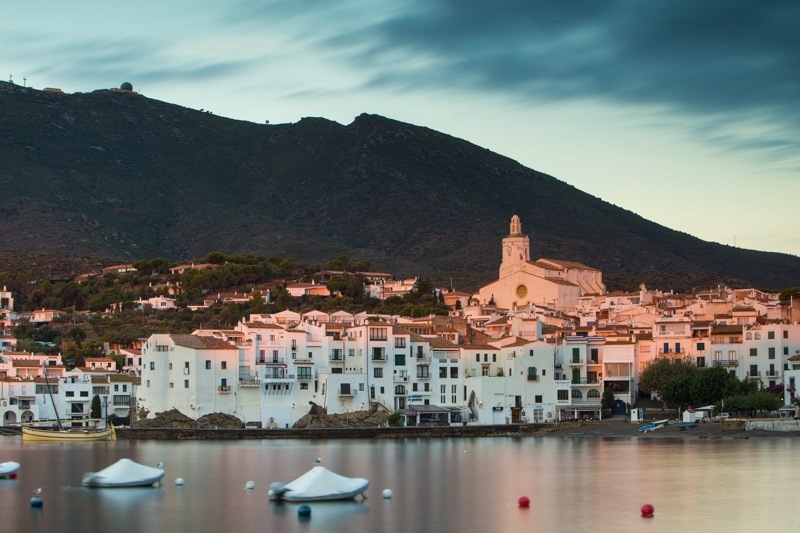 I got up early to shoot some photography in the beautiful town of Cadaques. It really is picturesque. And how interesting this town was made dealing with some serious jet lag a little bit easier. It also made things easier to be hanging out with so many cool people. It can be hard in this nomadic lifestyle to have a social life. But, these projects that involve a number of other people from the industry are a great way to mix work and a social life. The group on this trip is a lot of fun. There are some old faces – people I’ve known for ages – and other people who I’m sure will be long-time friends. In the late morning, we boarded a sailboat and headed out along some of the beautiful coastline of Cap de Creus National Park, had some amazing freshly caught seafood, and even got a swim in. 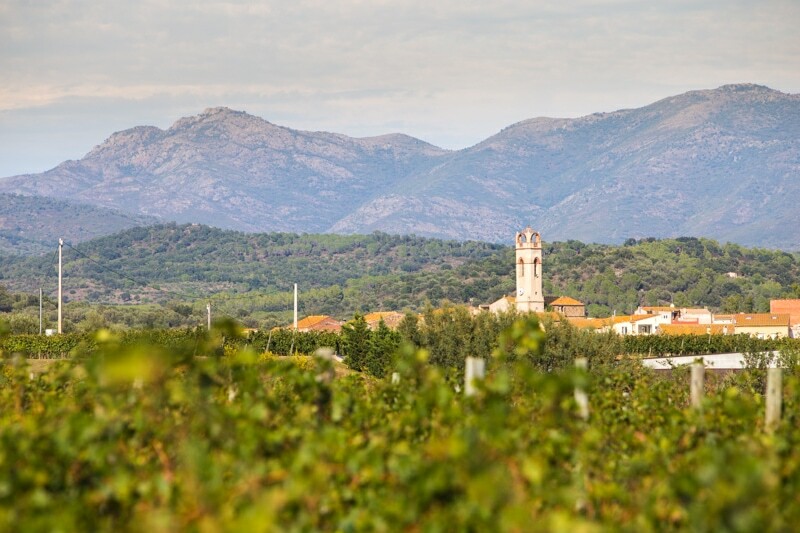 Then in the afternoon we pushed on to a really cool vineyard called La Vinyeta where we tried our hand at picking grapes, and then even had the chance to stomp them out with our feet. Of course, there was food and drink. I’m trying to vlog as often as I can on the Sony A6300 I just added to my gear set and am really pleased with the quality of the video it’s turning out. I bought this camera not only because it shoots the 4k you saw in the video today, but because the auto-focus system is just next level, both for videos and photos. I am extremely pleased with it. There was definitely a learning curve, though. Not only is the Sony A6300 my first mirrorless camera, but my main camera – the Canon 6D – is a very simple camera that’s stripped down of a lot of complications. The Sony A6300 is a dynamic camera that can do a million different things. So, figuring out how to make the most of these tools, and not getting overwhelmed by them, has been a bit of a challenge. That said, this camera has proven to be fantastic, and I highly recommend it to people who are looking to get into photography and need a camera that shoots both stills and high quality video. Here are a couple stills I took in the day. I took about 100 images between Cadaques and La Vinyeta, but we’ve been so busy on this trip I’ve had to just pull a couple images out and edit a handful for you to check out. Like always, stay on top of the images over on my Instagram feed. 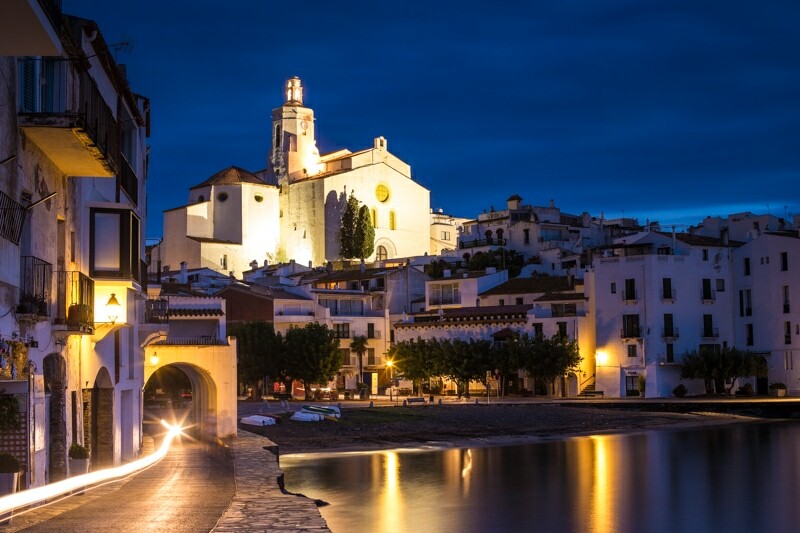 The classic view of Cadaques. Last shot of Cadaques, I swear. It’s just so perfect! Lunch out on our sailboat. 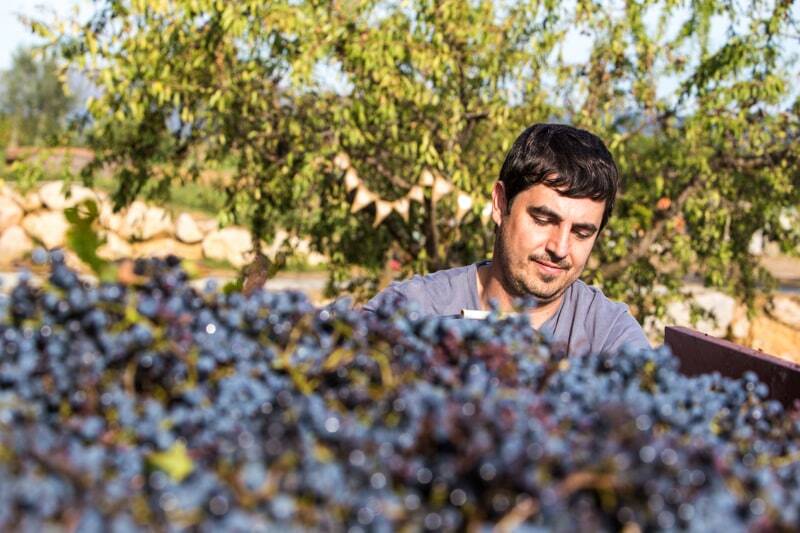 The owner of La Vinyeta taking care of some his grapes. Tomorrow, we head to the Pyrenees Mountains here in Spain, and I may just make an attempt at shooting an entire Vlog in 360 degrees. I’m not sure it’ll happen. But, that’s where my mind is at. Regardless, it should be cool! There will be fall colours, and I’m even told there may be a hot-air balloon ride – which I’ve never done. 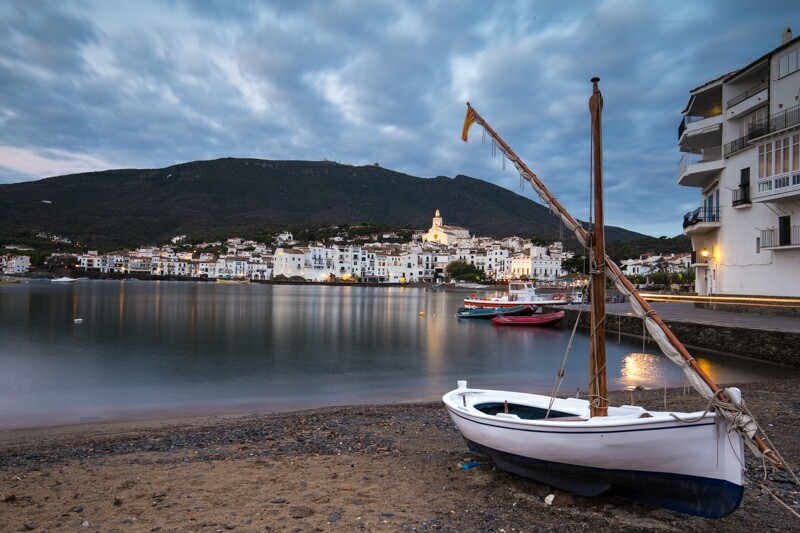 Your photos are always so amazing and Cadaques seems so peaceful and beautiful in these. I love all of Spain and it’s my favorite country to travel to, but I’ve never been in the Costa Brava region so I’m looking forward to more videos from you. You should go to Andalucia, in my opinion that is the most magical place in all of Spain, so filled with history, good food and beautiful scenery. The Costa Brava region is amazing. I love it. I do need to spend more time in Spain in general, I know! I’d love to see Andalucia, for sure. Looks like an awesome place to visit! 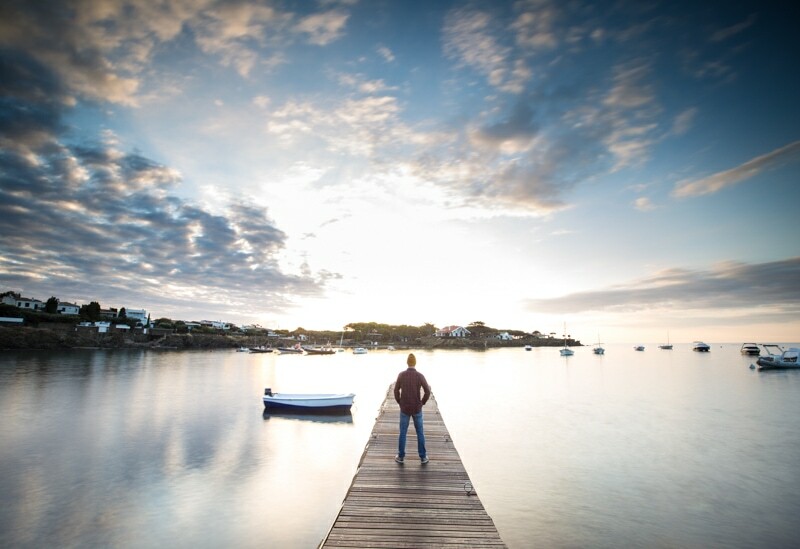 I love the photo taken at dawn. Thanks for sharing. Awesome picts and videos! I recently got a Mavic Air which can get 4 k video. Practicing daily. 120 frames per sec / and 60 frames a second. Video is the way to go !